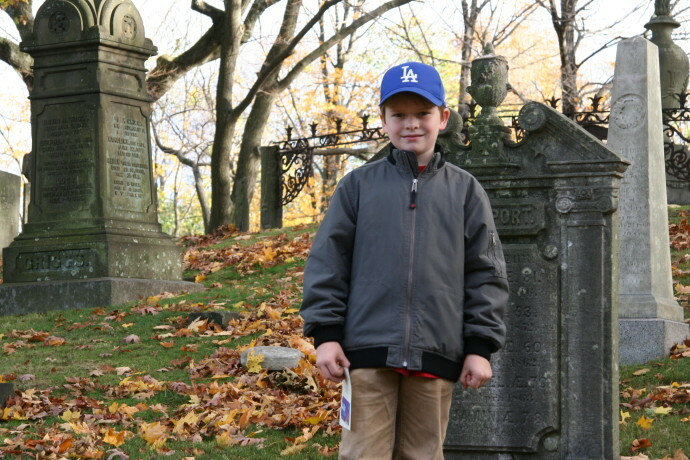 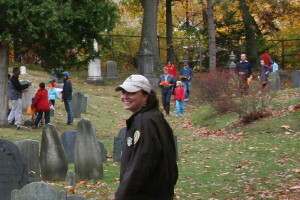 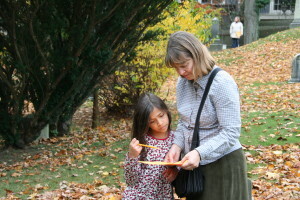 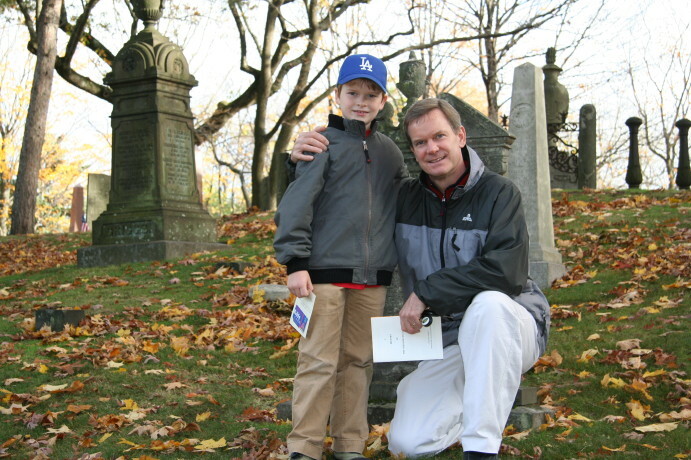 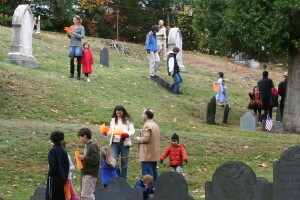 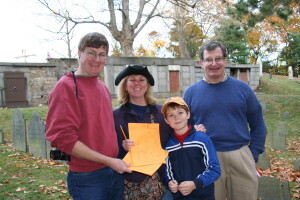 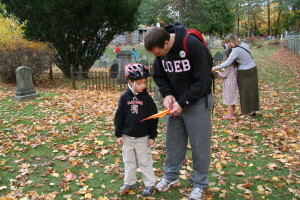 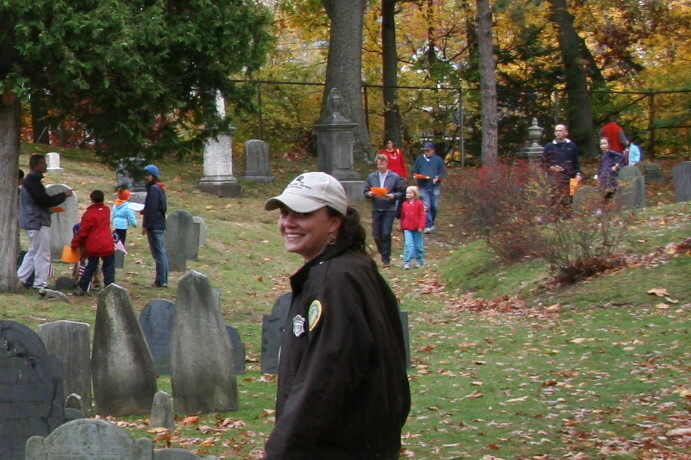 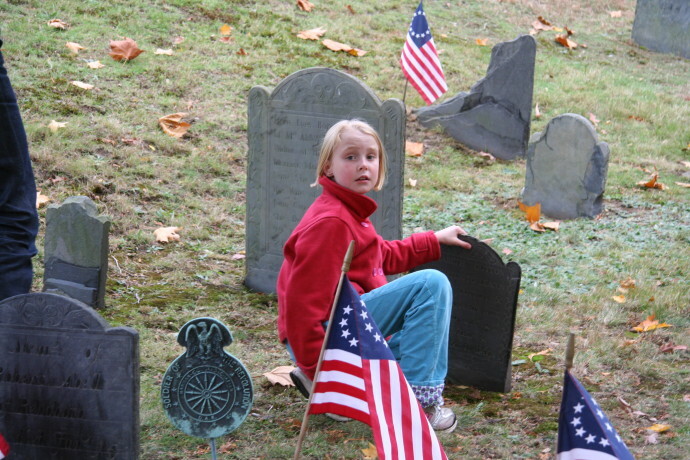 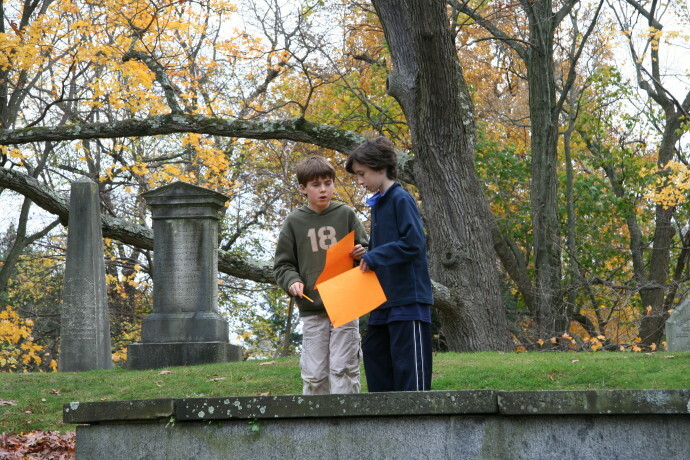 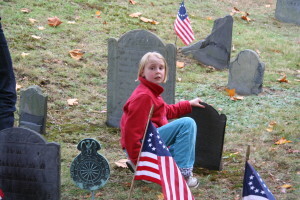 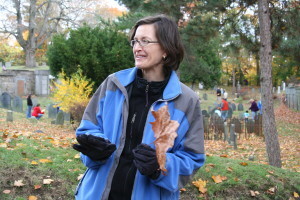 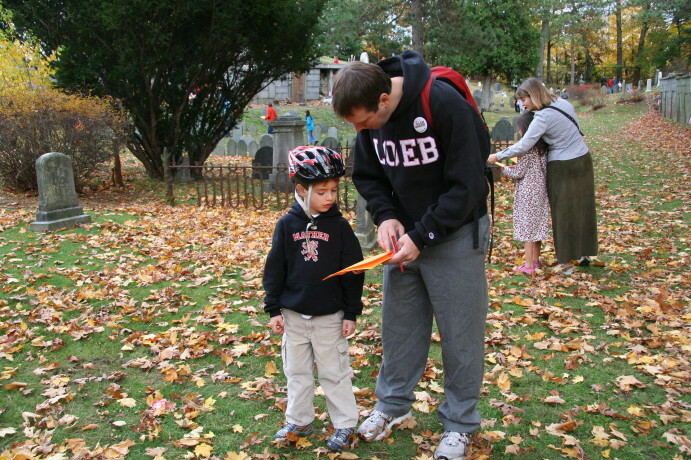 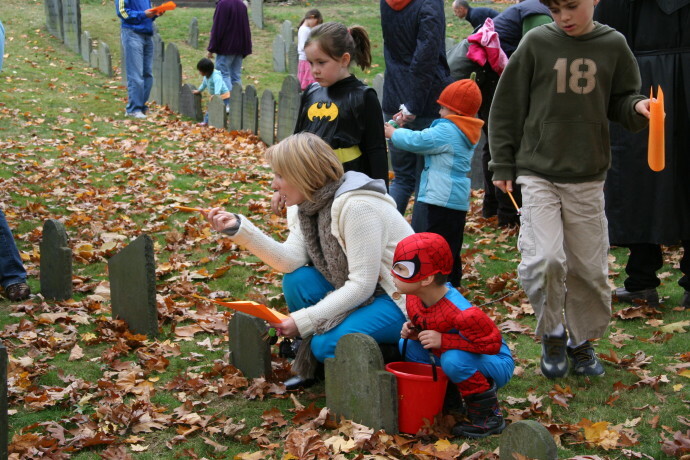 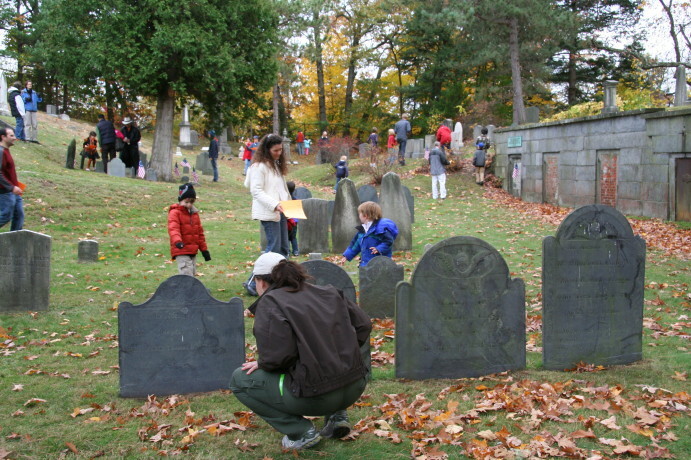 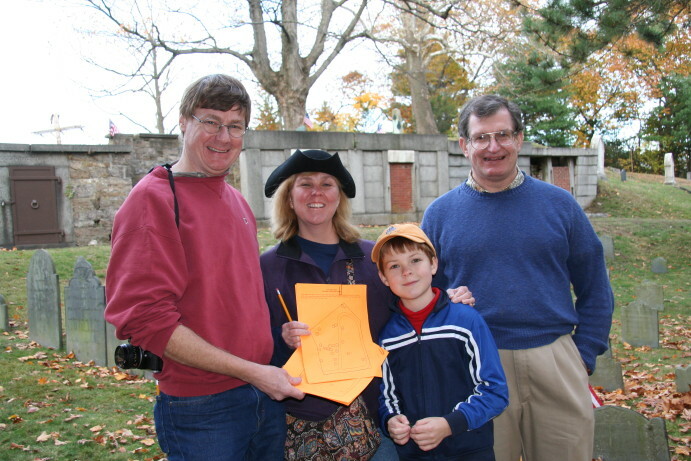 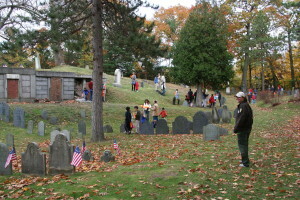 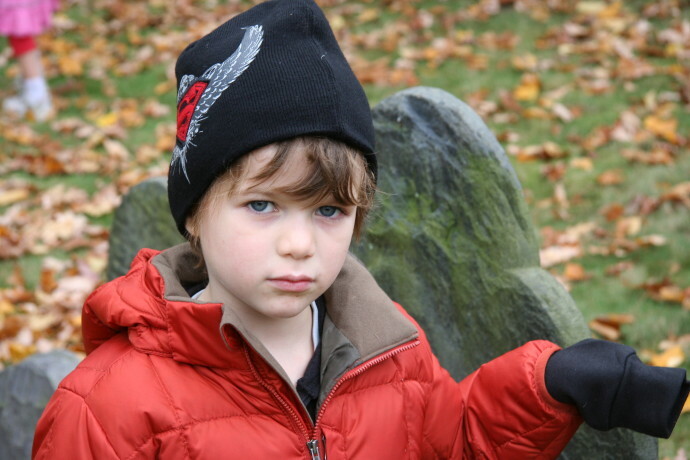 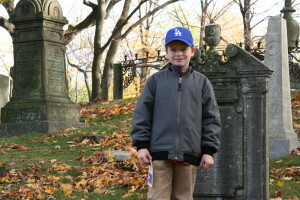 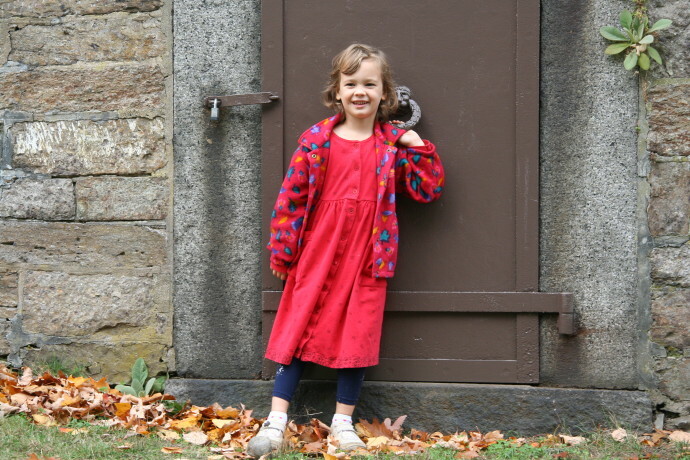 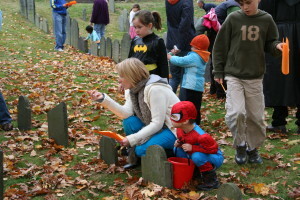 On November 1, 2009, Friends of the Old Burying Ground sponsored an All Hallows Day scavenger hunt for historic gravesites. 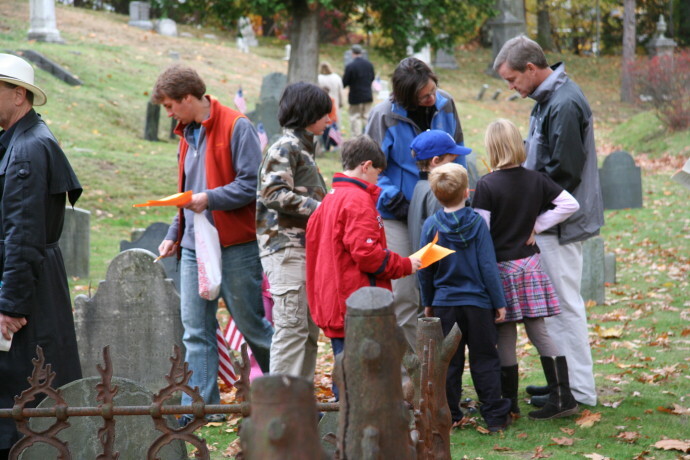 Young visitors were challenged to find the graves of 22 people mentioned in The Brookline Trunk, a book about two young people who discover in their grandmother's attic a trunk filled with diaries and letters from long ago Brookline residents. Jack Flood of Park Street, Brookline, shown here with his father, Michael Flood, was one of the winners. 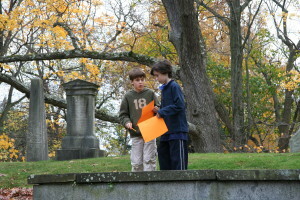 Photos by Frances Shedd Fisher. 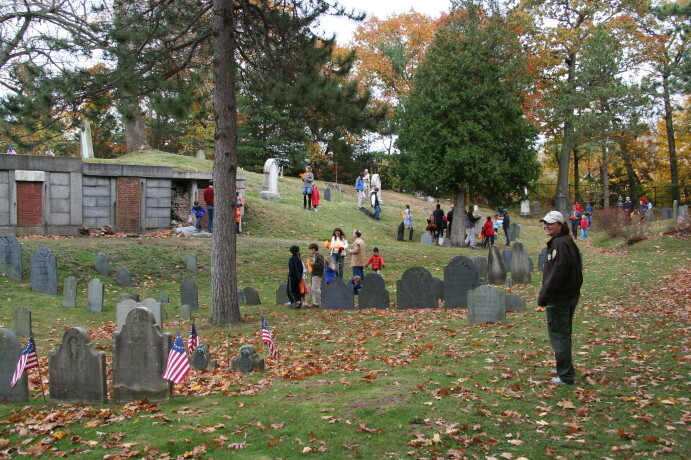 Click on images for larger view.